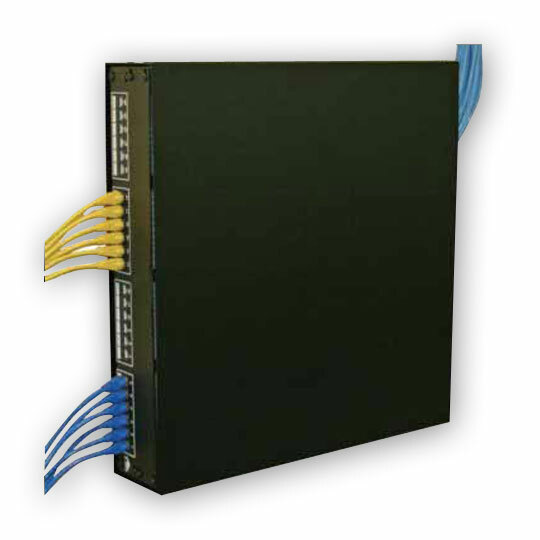 The Tilt Panel Mount (TPM-818), designed for patch panels and network panels, makes installing deeper equipment possible. Mounting rails tilt down to 90 degrees for easy access to the back of the equipment. Also available is a security cover kit (the TPMC-818) which consists of a lift-off front panel and a top cover which can also serve as an equipment shelf. 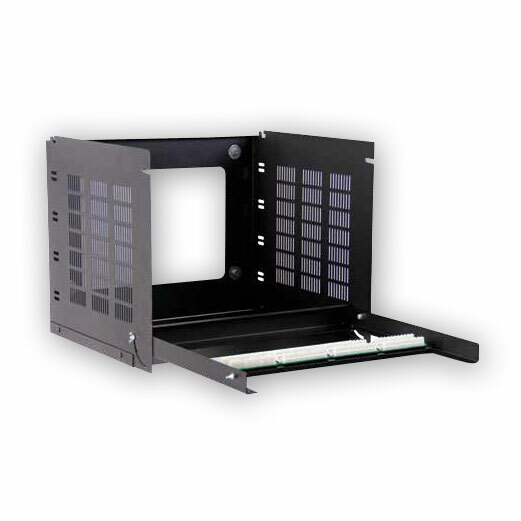 Versa-Rack Sideways Panel Mounts hubs and other network components flat against the wall or under tables or desks. Mount hubs and other network components flat against the wall with this innovative all-steel sideways panel mount. Versa-Racks can also be used to mount components under tables and desks for commercial and classroom use. 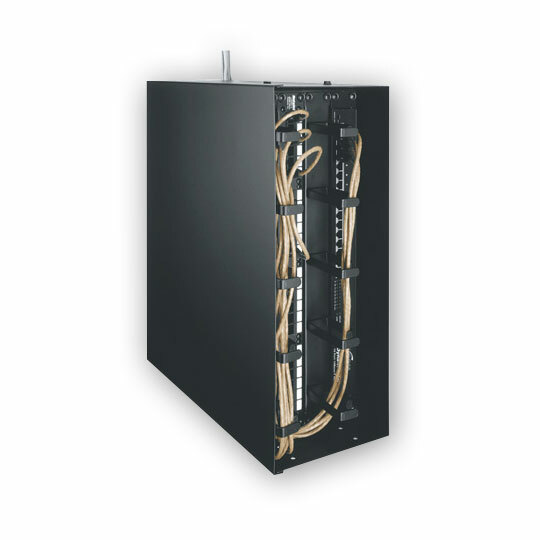 Cost effective in any application, each model features a single pair of 11-gauge, 10-32 threaded rackrail that can be positioned in 3 locations for D-Ring cable managers. The low profile sideways panel mount is equipped with cable lacing points at the rear and a cover to protect equipment. Includes rack screws.